In light of last week’s SCOTUS’ ruling on gay marriage, we can’t help but be giddy about all the amazing LGBT weddings that are about to take off in H-Town. Wondering where to start, when it comes to the Big Day? Here are the vendors we would tackle first for an all out epic celebration. Native Houstonian Laura Burlton’s love of photography started around the age of eight, when her parents first gifted her a camera. Today, her passion for imagery continues in her profession where she specializes in wedding and portrait photography. Why we love her: Her knack for capturing candid moments and use of natural light make for some timeless shots. For more than a decade, Todd Events has crafted some of the most exciting weddings and events in the Dallas area. A couple of years ago, the team expanded with a new office in Houston under the direction of founder, Todd Fiscus. Why you need ‘em: Todd’s team brings dreams to life and helps design celebrations that are eye-catching and memorable. Sure, Chef Rebecca Masson is busy packing in customers at her new Fluff Bake Bar in Midtown, but the culinary wizard can still pull off a wedding cake that will leave guests talking for weeks. We love her naked cakes, especially the multi-tiered funfetti variety, because face it, you’re never too old for funfetti. Why you need her: Beyond the wedding cake, Masson makes tasty fluffernutter cookies that would make awesome wedding favors. 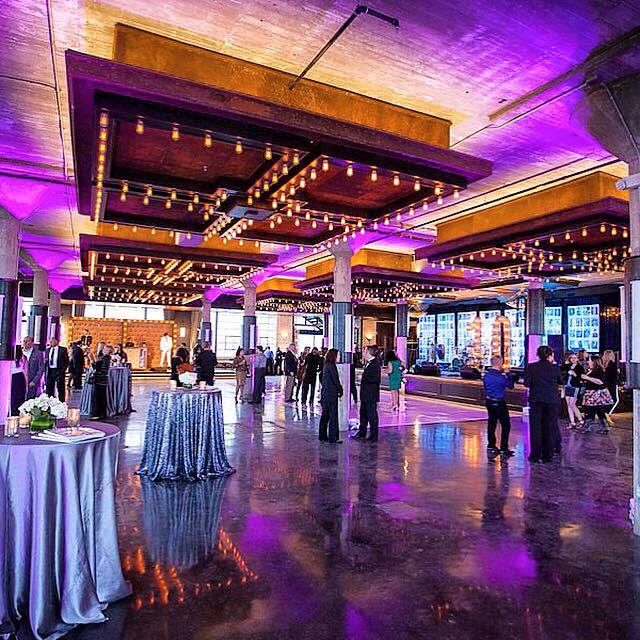 Situated in a landmark building, as designated by The Houston Historical Society, The Astorian is an industrial-chic, 28,000-square-foot event venue located in The Heights area of Houston. Conceived by Andria Design, the private loft space and rooftop takes inspiration from New York City’s infamous Grand Central Station. Why you want it: The space is a photography dream with lots of photo ops, textures and grand views. If you want guests dancing the night away, the right wedding band is a must. The Drywater Band&apos;s Grammy award winning staff includes notable recording artists, session musicians, record producers, touring musicians, worship leaders and audio engineers. Why they rock: Clients can customize their band with up to 17 pieces and choose from a more than 350-song repertoire.